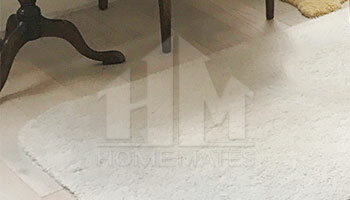 HomeMates employs some of the best carpet cleaning technicians in Tottenham, N15. Choose our carpet steam cleaning service today and restore the look of your carpet. If you want to give your old, dirty carpets a second life, don’t hesitate to make a booking with us because no other company operating in Tottenham, N15 is better than us. But don’t just take our word, get in touch with our operators and find out more about our services. We work every day with a flexible schedule and we are proud of making our customers happy with both the prices and the results we achieve. Maintaining your carpets clean is important not only because of their aesthetic appearance but also because you can reduce the pollutants at your house and improve the indoor air. Carpets can accumulate more dirt and dust than you can imagine so having them professionally cleaned once or twice per year is recommended. Now, when you found a dependable company, you just have to call and we will be on your doorstep in a short notice. We have teams of skilled cleaners who will arrive uniformed, equipped and ready to go straight to the job. Even if your carpet is too dirty or worn out you can be sure that our carpet cleaners will make it look much better by applying the best cleaning methods. Stains will be removed too. Our cleaners can also recommend the best cleaning techniques you can do in the period between the professional carpet cleaning procedures that should take place once or twice in a year. As for the price, you will be given a free quote upon calling our operators. Be sure that the price will be fair and carefully estimated according to the measures you give us. Make a booking with us and we can make your carpets look fantastic while respecting your privacy and property. You can make an initial contact with us via email or the booking form on our website. Of course you can always call our operators; they are available round the clock. Our carpet cleaners can be found working every day in Tottenham, N15 as well.